When Malaysian Airlines flight MH17 was shot down over a rural area of Ukraine on July 17, 2014, it galvanized into action an international team of GIS specialists even as there was a worldwide outpouring of grief for the 298 passengers and crew members who were killed. The attack took place at approximately 6:15 a.m. (PDT), just as attendees at the Esri User Conference (Esri UC) in San Diego, California, were waking for the final day of the event. Two representatives of Bahagian Geospatial Pertahanan (BGSP), the division of Malaysia’s Department of Survey and Mapping that supports the Malaysian Armed Forces, were attending the conference. Brigadier General Hj. Abu Sufian bin Ahmad and Col. Dr. Mohd Zambri Mohamad Rabab were contacted shortly after the attack by the Malaysian Armed Forces. They were asked to quickly deliver information products and briefings for response and recovery efforts. Searching ArcGIS Online using the keyword "Ukraine" produced useful information, including the separatist regions of Ukraine and the languages spoken in those regions, that was communicated in an Esri Story Map app. “Because of the severity of the incident and the many unknown factors related to it, it was critical to immediately contact Brigadier General Sufian bin Ahmad and Col. Dr. Mohd Zambri to inform them of the situation and request their help,” said Brigadier General Ahmad Nasir Bin Abd Rahman, who is the director of BGSP. Malaysia had to deal with this national security incident, which had occurred in a war zone on the other side of the world where a complex political situation existed involving multiple nations. At the same time, Malaysian agencies were actively working on the MH370 incident that occurred March 8, 2014, when a Malaysian Airlines plane disappeared on a flight from Kuala Lumpur to Beijing. In addition, the government was involved in ongoing counter insurgency operations in East Malaysia. The magnitude and complexity of these operations would test the capacity of any government. Fortunately, Malaysian authorities were able to call on the technical resources and expertise of GIS professionals who were attending the Esri UC. 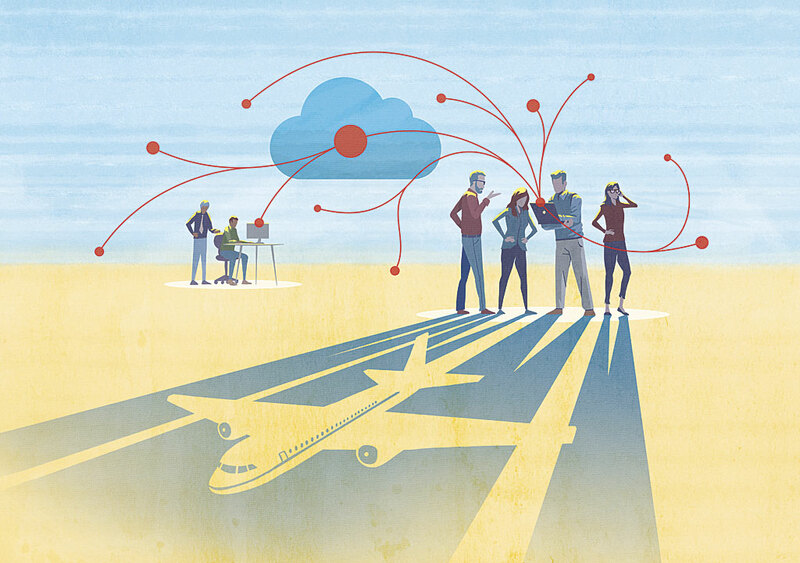 By loading the Automatic Dependent Surveillance Broadcast (ADS-B) track and comparing it with aeronautical charts and waypoints, the team rapidly developed situational awareness to understand the risks to commercial aircraft in the region. 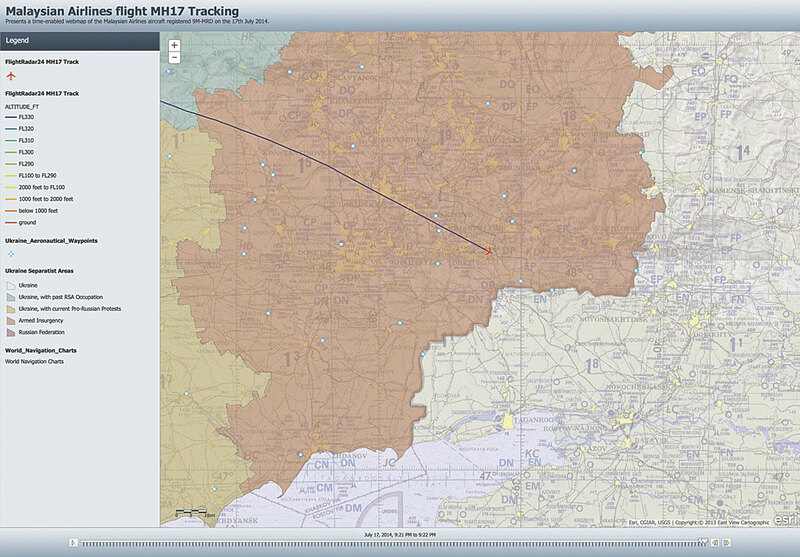 Esri and Esri Malaysia staff began assembling the materials needed to better understand the MH17 incident. Almost immediately, Brigadier General Sufian bin Ahmad and Col. Dr. Mohd Zambri joined Esri specialists and key partners, forming a team of multidisciplinary geospatial experts. They set up a temporary operations center at the Hilton Bayfront hotel in San Diego. Over the next few hours in the operations center and in the following weeks in Malaysia, multiagency geospatial capability evolved. The central geospatial operations center was established in San Diego with an in-country support center at BGSP in Kuala Lumpur to support multiple stakeholders in the Malaysian government. Although this effort required coordination spanning the world, roles and responsibilities were rapidly assigned and senior users identified across the entire group. 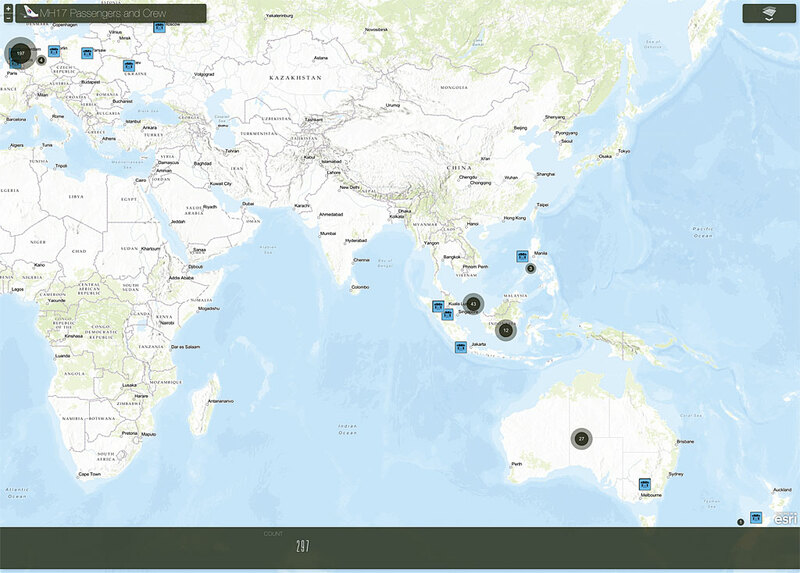 Using ArcGIS Online, the group was quickly able to stand up the required response requested by the Malaysian government and provide useful information products from publicly accessible data. Esri business partners, such as Airbus Defence and Space, helped with data collection. All this was accomplished using only a web browser with an Internet connection. No other IT infrastructure was needed. Within 90 minutes, the assembled team had established a site that provided the Malaysian Armed Forces with access to a common operational picture that included detailed Ukrainian mapping and demographics. With this cloud-based system, the team could share work instantaneously. Existing data could be fused with current data to create new mapping layers to support the information products required. Because authoritative data sources were initially unable to provide up-to-date information, the team created a web application that accessed social media feeds from Instagram, Flickr, Twitter, and YouTube. At first uncertain about the value of social media data, the team found that other users had published web maps and apps on the crisis. These provided the geographic context and the data that was needed. 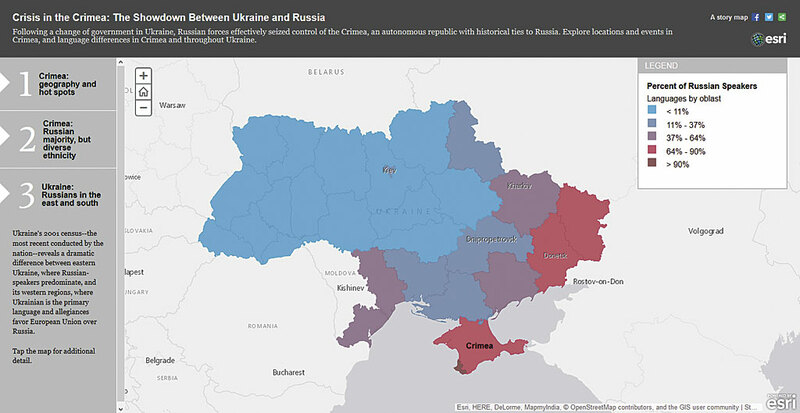 Searching ArcGIS Online using the keyword “Ukraine” produced useful information including the separatist regions of Ukraine and the languages spoken in those regions. As Airbus Defence and Space tasked a satellite to perform imagery collection, the team quickly provided the raw imagery to analysts for comparison and to locate potential debris and infrastructure to support the response and investigation. The team adopted an agile workflow to expedite the development process. This consisted of hourly sprints to accomplish simple tasks, a review of the completed work at the end of each hour, discussion and agreement on the next task, and continual user engagement. 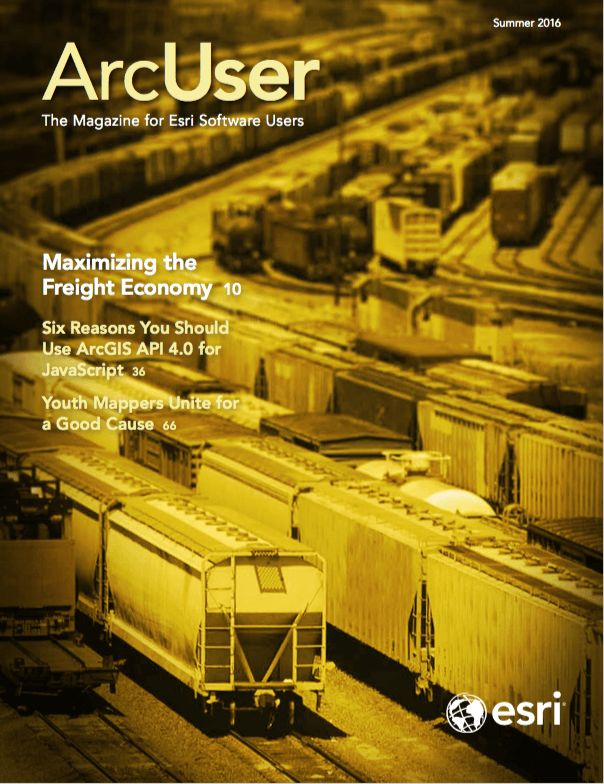 The team determined that users needed quickly developed special applications rather than data. One of the first tasks was creating an application for locating the embassies and consulates of the 10 countries that had citizens aboard flight MH17 as well as the embassies of Ukraine and Russia. This application was widely shared with other nations and the Malaysian government so that it could be used to guide families and officials to their respective embassies for updated information. 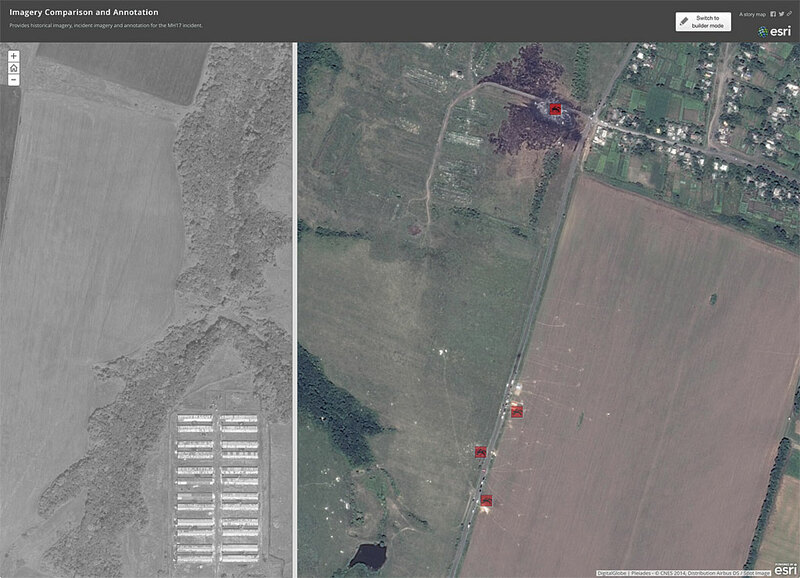 A few days later, after finalizing the dashboard, uploading imagery data, and clearing up content, the team handed this work to BGSP for inclusion in its MH17 Response Portal. 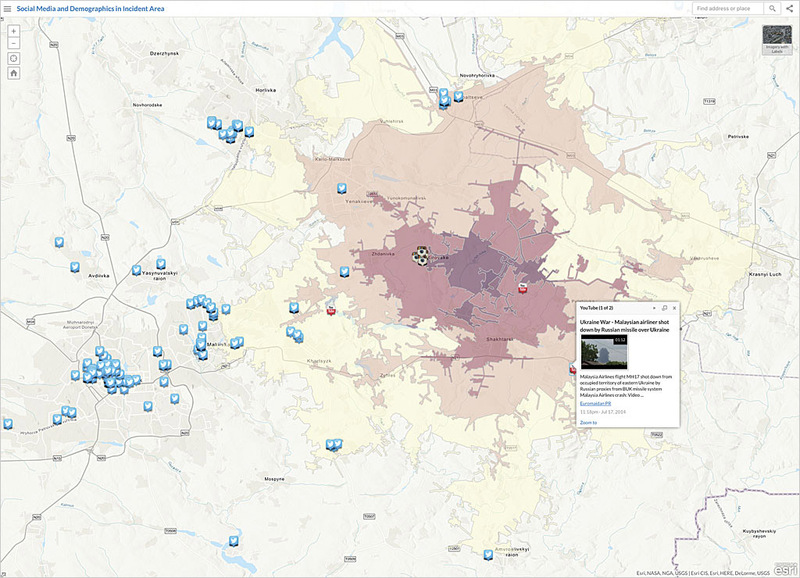 The portal contained historical information, geospatial data, and briefing materials to assist with the response and provide context for a better understanding of the incident. By loading the nationalities of passengers, the team could locate and present the relevant embassies and consular services with information to assist families and government officials. ArcGIS Online provided a capability for the team to build a demographic profile surrounding the impact site, divided into drive-time distances. Social media feeds, the only source of on-the-scene imagery and information available, were fused. This experience has influenced BGSP’s capability development and how it now trains to support government. 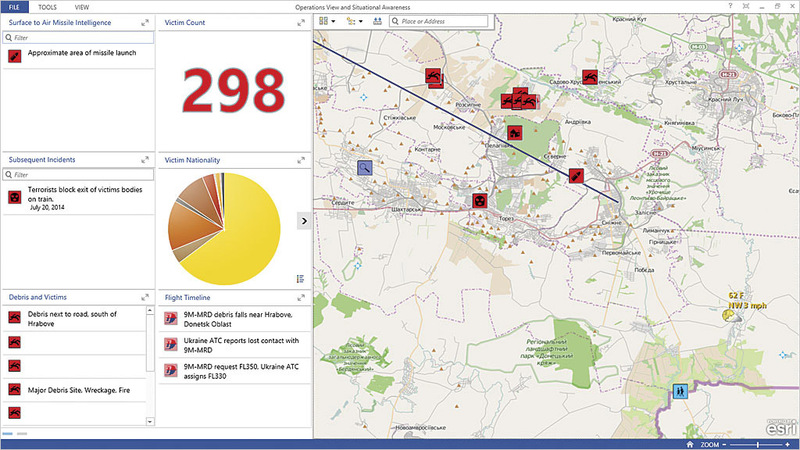 In addition, it proved that ArcGIS Online has the agility to aid responders to multiple, concurrent missions.